On Thursday, October 12, the Cambridge Writers’ Workshop made its way to coastal New England for our Fall Harvest Writing Retreat. We arrived at our home in Gloucester and were immediately taken by the spacious rooms, large windows, and clean elegance offered by the space. We found plenty of places to sit and write, especially with the gorgeous view from our back deck. 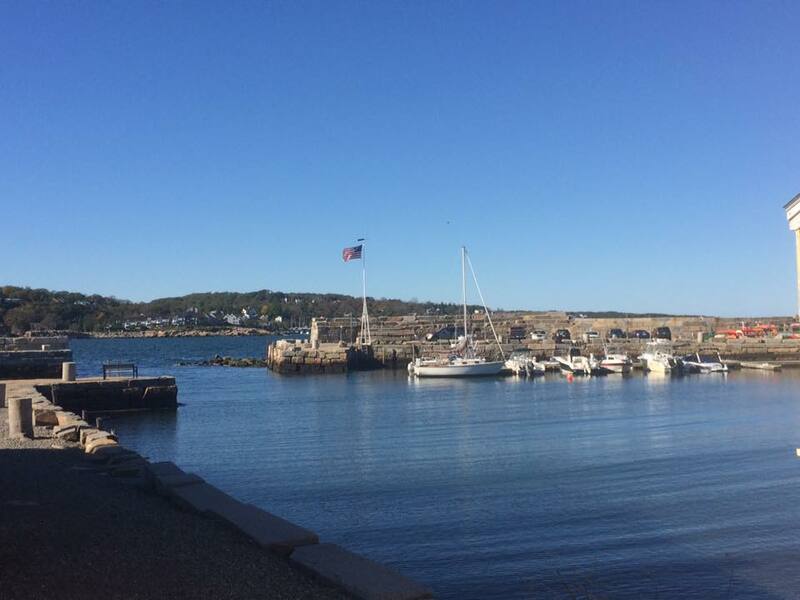 In the afternoon, some of us went to Downtown Rockport and walked along Bear Skin Neck. We passed by small little shops selling tons of local merchandise and kitsch. We also stopped for lunch and enjoyed a meal of crab rolls and fish and chips. We spent time taking in all the views of the harbor, the adorable looking stores, and all the cute dogs walking around. After that, we returned to our house and settled in for the evening. We made a meal of Chicken Alfredo together, then went around the table introducing ourselves. We each shared our backgrounds, our writing history, what projects we were working on, and what we hoped to gain from this retreat. After dishes, we all went our separate ways; some went to bed, some stayed up to do some writing. Whatever we did, we all were excited for how the retreat began and for what was to come next, as our first workshops begin tomorrow. This entry was tagged Cambridge Writers' Workshop, fiction, Massachusetts, nonfiction, poetry, retreats, Rockport, writing. Bookmark the permalink.